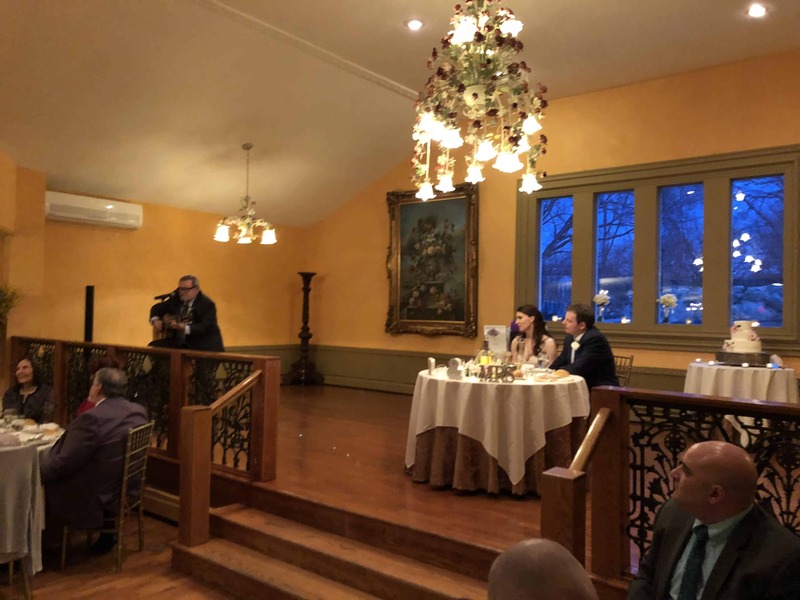 We always love working at Feast at Roundhill in Washingtonville, NY. The truly unique layout of this private estate and their friendly staff make you feel right at home. Exactly why Kim and Jay’s chose to have their celebration here. The day started out with their ceremony on site, in the Atrium. 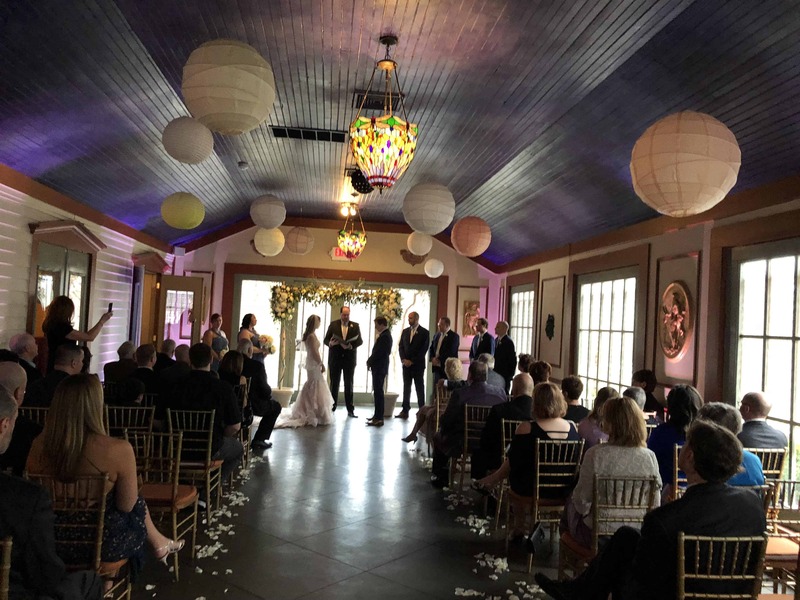 They chose some great music for their ceremony, which included songs from Radiohead, Arcade Fire and Florence + The Machine. 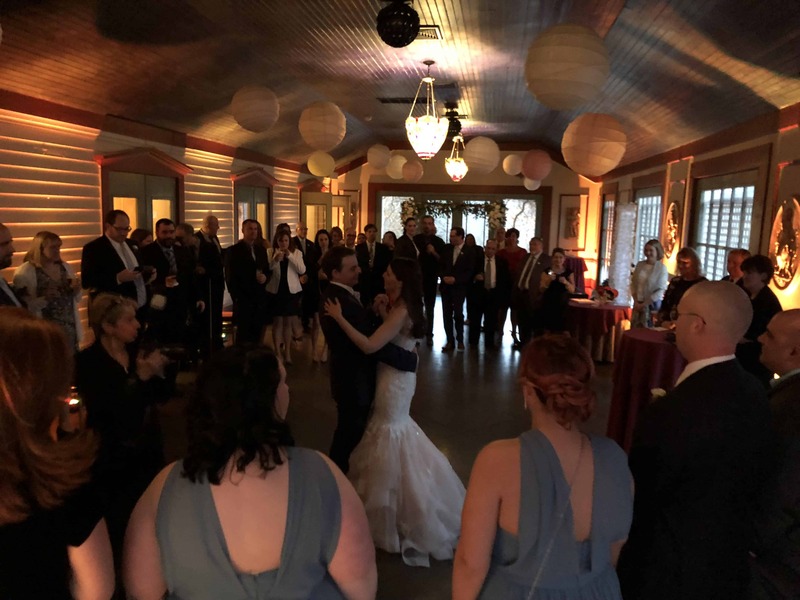 At the start of the reception, we began with the grand entrance followed by Kim and Jay’s first dance. They chose to have True Love Waits by Radiohead followed up by a festive dance set. Once the guests sat down for dinner, Jay’s stepfather performed a song that he wrote for the couple on his guitar. It was a very special moment. After dinner DJ Nick re-kicked off the dancing and guests had the urge to use our photo booth for the remainder of the evening. It’s amazing to see what a photo booth can do at a wedding. Laughter, fun and great memories! Shameless plug, but we highly recommend getting one for your wedding. 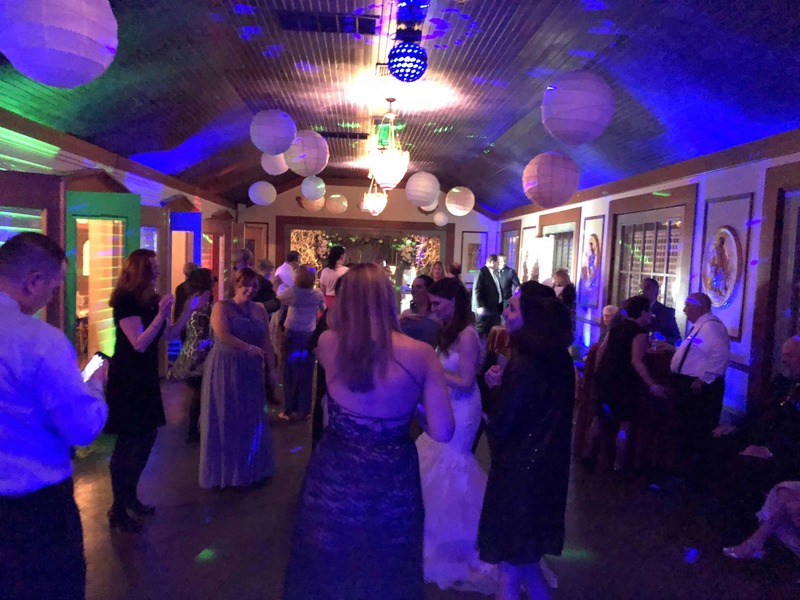 Even though it was a small wedding of about 60 guests, they were ready to celebrate and dance the night away (which they did)! 🙂 Best wishes to Mr. and Mrs. Larkin!